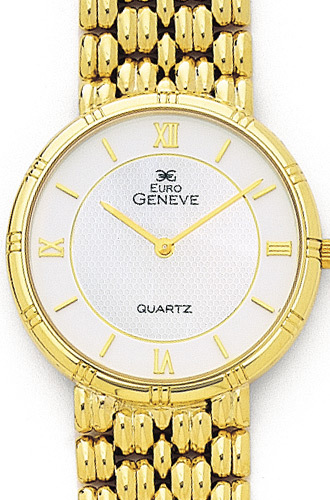 14K yellow gold link watch with round face. Bordered with yelllow gold and detailed ridges as the hour markers, white colored dial with roman numerals and gold hands this chassans watch has the sophisticated edge he is looking for. Watch Face Size: 1 5/16"